My iTunes library is filled with beautiful artwork that I sometimes want to extract. 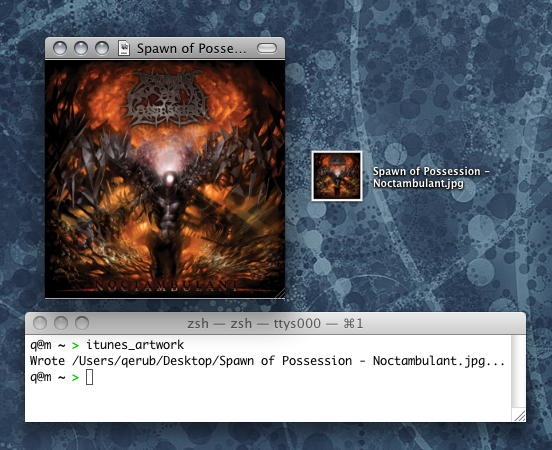 Here’s a little Ruby script that extracts the album artwork for the currently playing track, saves it in your deskop directory and finally opens it for your viewing pleasure. This page was created on 2008-02-26 and is filed under iTunes, Ruby, and Mac.